Trade Show Booth Design - XZIBITS, Inc. Depend on a qualified exhibition company who can take your tradeshow experience to the next level! XZIBITS provides a plethora of Tradeshow Booth Design, Delivery, Setup, and Storage services for you! Look No Further than XZIBITS for Tradeshow Booth Design, Delivery, Setup, and Storage Services! Tradeshows are great events filled with wonderful opportunities to network, grow your business, and get your products in front of new customers. These are all notable aspects that result from a tradeshow; however, many people don’t realize how much work it takes to create a fully-functional Tradeshow Booth Design. XZIBITS is an exhibition company who provides affordable solutions for businesses looking for tradeshow services, tradeshow displays, and promotional products. If you need a Tradeshow Booth Design assembled, taken down, or stored, we are prepared to take on projects of all sizes. Our goal is to help you maximize the success of your exhibition. XZIBITS is here for you every step of the process. It doesn’t matter if it’s your first or twentieth time at a trade show. If you would like to discuss your upcoming project, don’t hesitate to give us a call. We’ve got the tradeshow services you need for a seamless exhibition experience! XZIBITS is Here for All Your Tradeshow Booth Design Needs, even at the Last Minute! Call Us Today! Considering the hard work that goes into preparing for an exhibition, it’s recommended not to wait until the last minute to plan for your Tradeshow Booth Design. If you need a Tradeshow Booth Design company, you’ve come to the right place! XZIBITS provides services that range from design, delivery, setup, takedown, and storage. So, no matter what last minute detail you need, like Tradeshow Booth Design delivery, we can take care of it! We eliminate stress from your exhibition planning and design! Give us a call today so we can talk about what you need, and how we can help you the best! After all, XZIBITS is behind every great tradeshow! Make your next tradeshow a success with us! We look forward to your call! Why Choose Less when You can Choose the Best with XZIBITS? Your Tradeshow Booth Design Company! 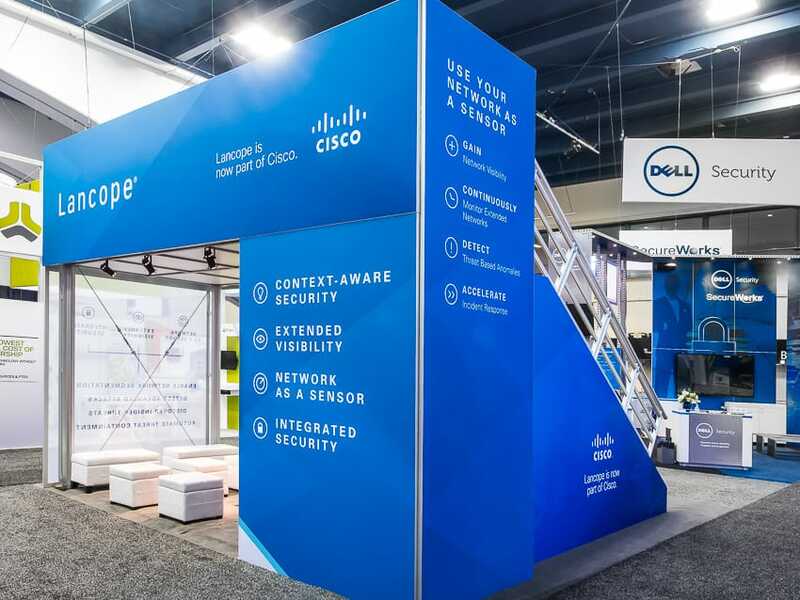 You can’t have a great Tradeshow Booth Design without these core services: design, delivery, setup & takedown, and storage. Our team of professionals are skilled in every area of our service offerings. XZIBITS design team helps you bring your idea to life, and our delivery team carefully packages and ships your Tradeshow Booth Design. We also have the resources to ship your booth to its designated location. In addition, the assembly team installs and dismantles your Tradeshow Booth Design without causing any damages or scratches to your exhibit booth. And after the show is all said and done, your booth is properly stored in a climate-controlled warehouse where it’ll reside until your next successful exhibition! XZIBITS is prepared to help you with any Tradeshow Booth Design service you need. Give us a call for a consultation about your Tradeshow Booth Design idea, or about any of our other services. We are happy to help!